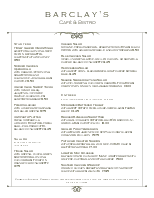 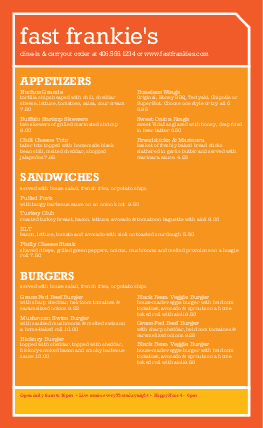 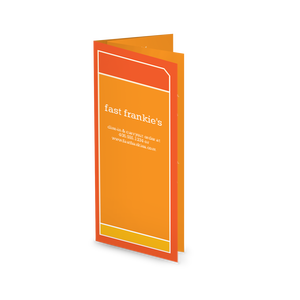 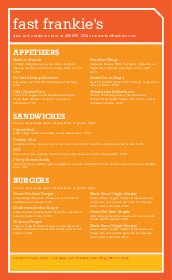 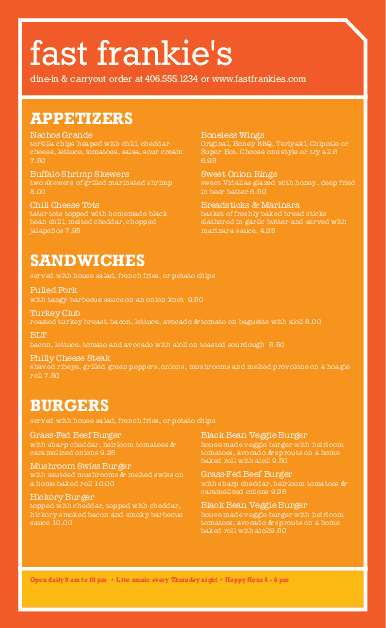 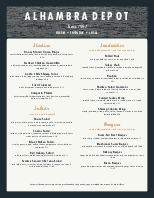 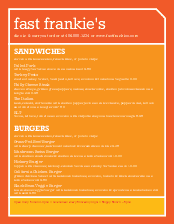 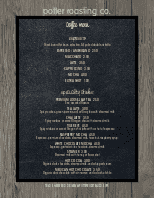 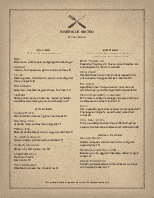 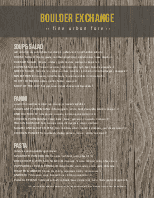 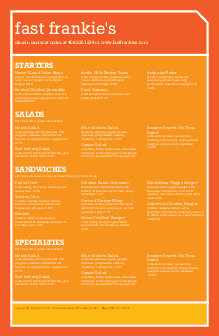 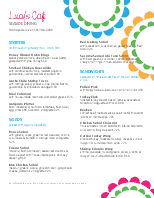 A Quick Service food menu template for a casual cafe or deli. 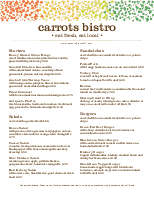 A bright background in warm shades of yellow, orange and red set a welcoming tone for your diners. 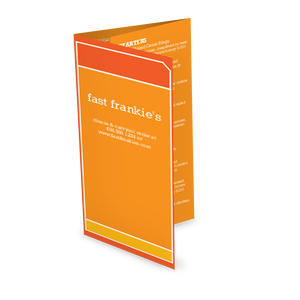 The large fonts are easy to read and the legal-size template design has a quirky, modern feel.